So you think your friend's Note II is big, eh? Then think again, Samsung has just announced two new smartphones that will put other smartphone displays to shame. The GALAXY Mega will appeal to users who want to get the most out of one device that brings great quality at an even greater value. With a large HD LCD screen with landscape mode support, the GALAXY Mega enables an exceptional widescreen view for various applications including web browsing, video, and SNS. But, at this size, are we really talking about smartphones? 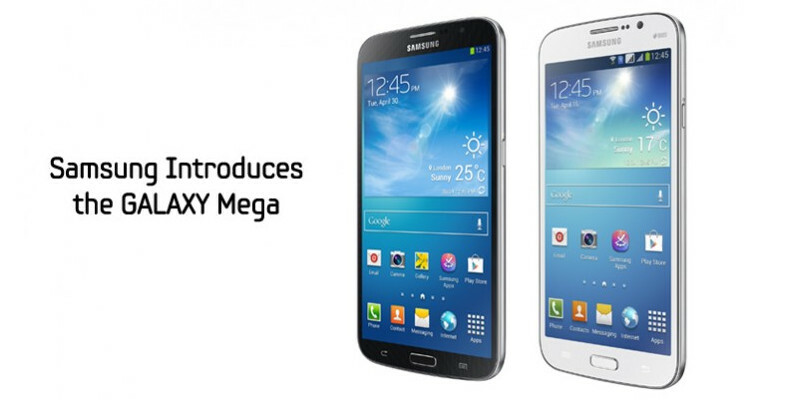 Targeted to Europe and Russia and expected as early as May 2013, the Korean manufacturer has just introduced two devices of the new Mega series: The Galaxy Mega 5.8 and the Galaxy Mega 6.3. As the name suggests, these smartphones have a 5.8-inch screen and a 6.3-inch screen respectively. The Galaxy Mega 5.8 has an HD display, a 1.4 GHz dual core CPU, an 8-megapixel camera, HSPA radio, GPS, GLONASS, up to 64 GB of storage via microSD, 8 GB of onboard storage and a 2,600 mAh battery. The Galaxy Mega 6.3 inch features an HD display (most likely 1280 x 720), a 1.7 GHz dual core processor, an 8-megapixel camera, LTE & HSPA radios, GPS, GLONASS, up to 64 GB of storage via microSD, either 8 GB or 16 GB of onboard storage and a whooping 3,200 mAh battery. The price has not been disclosed, but given the technical specifications they should retail somewhere between the current Galaxy S III and the new Galaxy S IV flagship. Visit the Galaxy Mega 5.8 and the Galaxy Mega 6.3 gallery for more information.